In recent decades, India has matured as one of the world’s most vibrant building markets. Huge sums are being poured into a wide range of construction projects – from major infrastructure upgrades, to wholesale city building and sweeping residential real estate programs – to beat the housing backlog. After agriculture, the construction industry is the second largest contributor to India’s GDP. It is set to reach US$180 billion by 2020, while rapid urbanisation necessitates the construction of modern transport links to and from major city centres. Strategically positioned to capitalise on this infrastructure boom is ITD Cementation India (ITD Cem), which was established in 1931 as a branch of The Cementation Company UK, and is now a part of the largest civil engineering construction company in Asia, Italian-Thai Development (ITD), Bangkok. It is one of the very few construction companies qualified for any kind or size of project in India. As the only multinational construction company listed on India’s stock exchange since 1981, ITD Cem has been assiduously working towards building stronger infrastructure throughout the country. 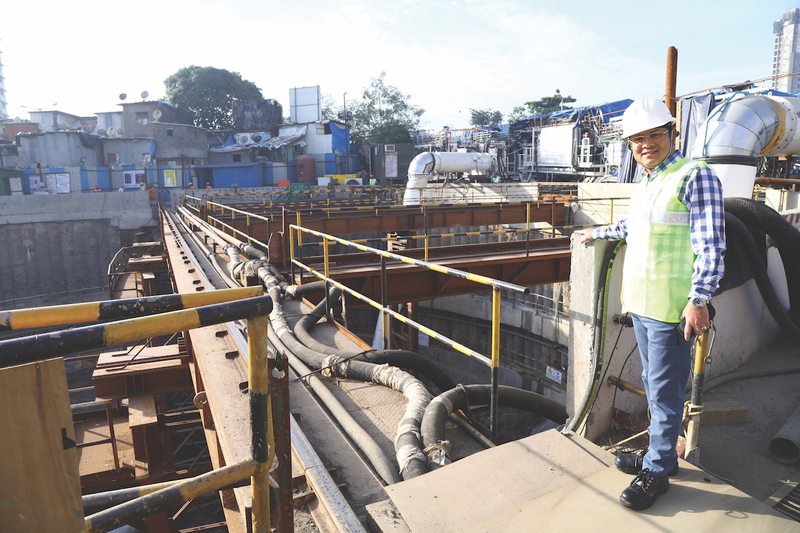 With more than three decades of experience in civil engineering, construction project management, and experience in the global market with the parent company ITD, Adun Saraban was the logical choice to take over as Managing Director of ITD Cem in 2010. “From the moment I became Managing Director, I embraced the local culture and adapted to the Indian business environment,” says Adun. “Although we ran into difficult times, given the volatile conditions of the Indian infrastructure market, we have managed to sustain ourselves and expand. In the face of declining growth in infrastructure, intense price wars, and slowdowns in project awards from the government and private sector, ITD Cem focuses on areas where competitive intensity is lower rather than spreading itself too thin. “Given our parent company’s history and credentials, we can position ourselves almost anywhere within the industry,” says Adun. “If we experience a slowdown in one segment, we de-risk the business by upping our operations in other, more promising segments.” Using this strategy, Adun has led the company over every hurdle, backed by a highly trained management team. The result was a massive turnaround that led to double-digit percentage growth in revenue. The past decade has seen every ITD Cem project completed in absolute accordance with the company’s, and Adun’s, mantra of ‘commitment, reliability and quality.’ “We have established ourselves as a faithful partner in building a stronger India, and the high standards we set for ourselves are the reason we have repeat orders and loyal clients. 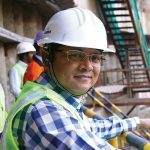 DP World, Adani and the Port of Singapore are just some of the private clients who have their pick of any developer, but choose to build with us,” explains Adun. and the environment,” explains Adun. As in its relationship with clients, ITD Cem’s subcontractor management plan strictly adheres to the principles of execution, quality, safety and delivery. “Because they are part and parcel of our system, we also have an annual vendor and subcontractor meet for their appraisal and assessment. We empower any and all suppliers that have the potential to grow or execute a larger scope. Adun was honoured by Construction Times as Best CEO of the Year 2017 as a tribute to his personal contribution in transforming India’s infrastructure segment. 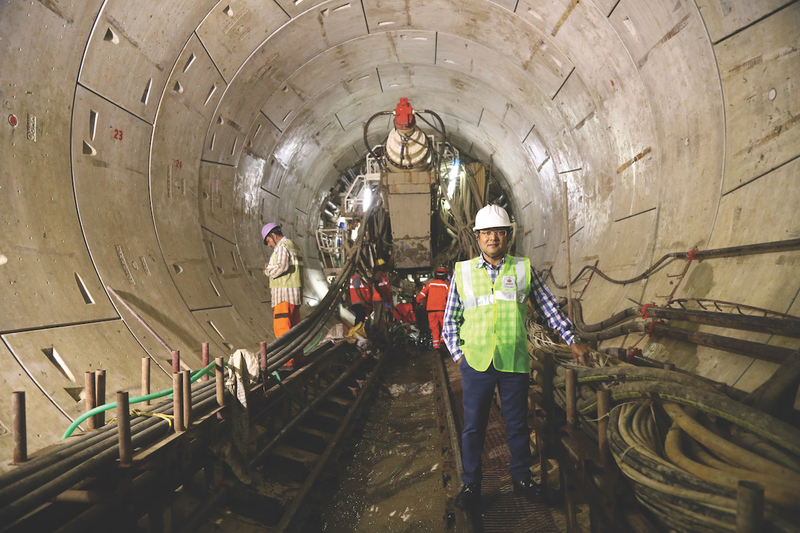 “I’ve helped transform ITD Cem from a company specialising in engineering, marine and road construction, into a diversified company that’s able to bid for work in almost all infrastructure segments,” he says. “A vital moment in this journey was four to five years ago when we reached an amicable settlement with the National Highways Authority of India over a long-pending claim. This resulted in an inflow of INR180 crore that boosted our liquidity during a difficult time. Since then, we have achieved promising profitability and revenue growth.” Adun is proud to report that ITD Cem has an attrition rate of 6 to 7% – among the lowest in the industry, strong corporate ethics, and a strong three-year road map to achieve a ranking among the top companies in the construction space. Between FY2008–20, India’s construction sector is expected to grow at a compound annual growth rate of 11.2%, providing much-needed infrastructure for India’s burgeoning population. 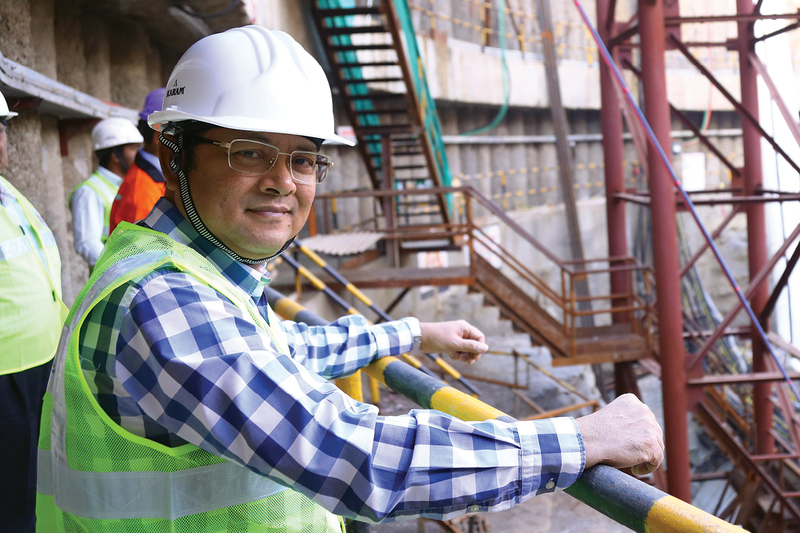 “To sustainably grow our construction business, we rely on the four Ms – men, material, machines and money,” says Adun. To foster a culture of improvement and a willingness to learn, Adun quickly adopted an open-door policy to make himself more approachable to staff, and he is always available for consultation and advice. Adun adds that multinational joint venture partnerships have played a valuable role in diversifying the knowledge and skills of his people. “Since 2004, we’ve grown the company from INR400 crore to INR3,000 crore through our ventures with ITD. In our first project, we required 200–300 ITD managers to execute the project. Now, we only need 10 people or less, because our team has gained substantial experience and can run projects themselves,” he explains. However, due to a rising number of non-performing loans and assets in India’s infrastructure sector, Adun says some major banks are tightening the reins in lending to infrastructure companies. “Consideration and approvals now take four to six months, so you need good liquidity and a strong balance sheet to handle initial investments and mobilisation in joint venture projects, which are treated as separate to the working capital and borrowing limit of the company,” he says. Already a low-debt company with a debt-to-equity ratio less than one, ITD Cem has successfully raised INR336.83 crores through qualified institutional placement to strengthen its balance sheet. Adun explains that if there’s one thing he’s learned in his career, it’s not only understanding the job you need to do, but also the nature of people you are working with, which brings success.